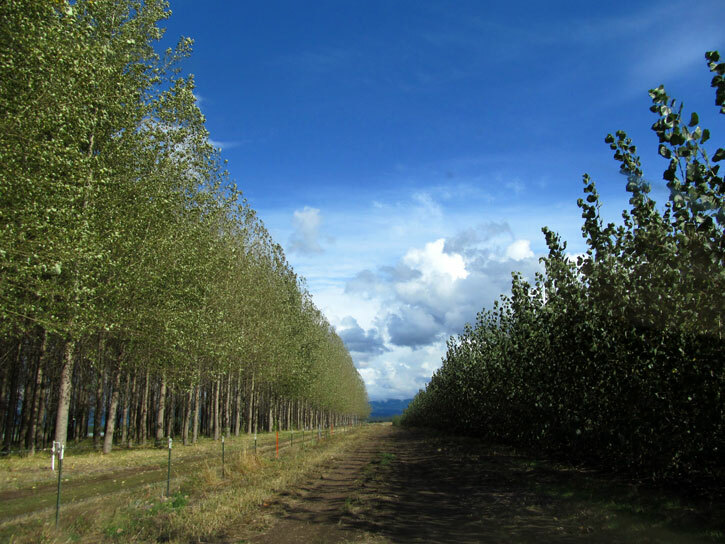 The following are AHB’s recommendations for continuing to make progress toward a poplar-based bioeconomy in the Pacific Northwest. Investors need a business plan to consider how AHB’s framework could translate into a commercial opportunity. AHB initiated business planning with a 2017 summit. Stakeholders came from government, industry, academia, tribes, and the environmental community. Future work is anticipated. The logical next step in realizing a PNW poplar-based bioeconomy is to establish a commercially-viable, moderate-scale biorefinery. AHB identified southwestern WA (Lewis and surrounding counties) as a promising region because it has: (a) suitable lands for poplar farms, (b) a power plant with excess steam available to a biorefinery, and (c) ecosystem services needs poplar could meet. 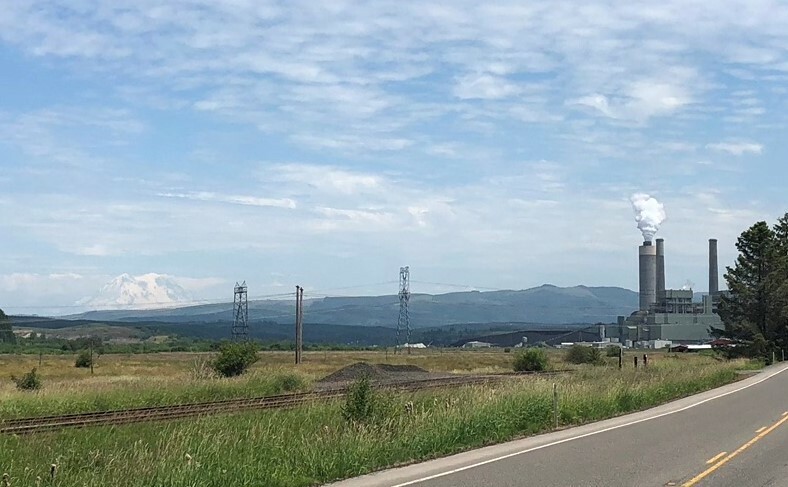 AHB has worked closely with Lewis County officials and stakeholders, as well as a biofuels company—Leaf Resources—to do an in-depth assessment of developing a “bio-based hub” (multiple bio-based industries). The initial feasibility work suggests that continued exploration is warranted. 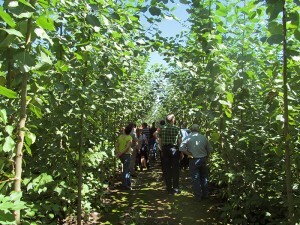 Research is needed to test methods for combining poplar for biomass production with environmental applications. 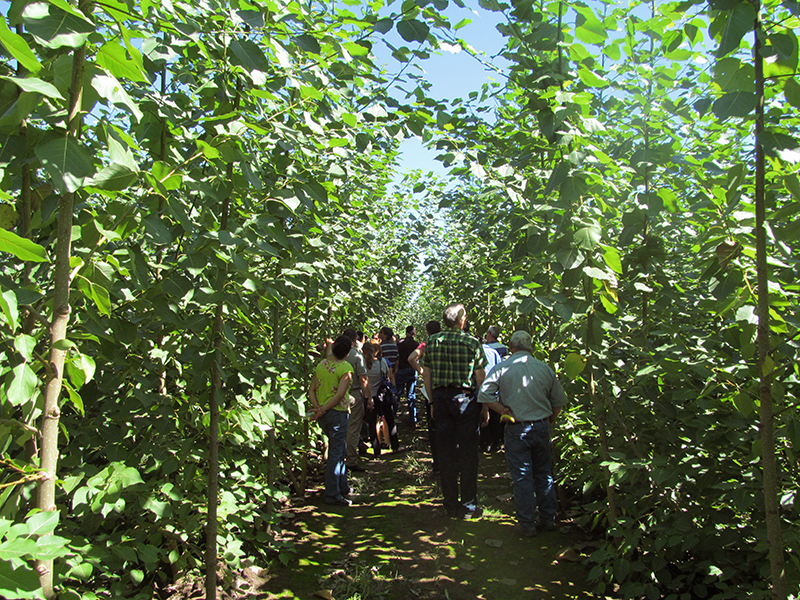 AHB nurtured the potential to partner poplar for ecosystem services and biomass production. Research is needed to test if poplar harvested on 3-year coppice cycles can evaporate enough reuse water to serve wastewater treatment plants, and whether coppice poplar can provide landscape roughness to mitigate floods. Methods to monetize poplar’s ecosystem services also warrant further study.